Kids love playing and learning on tablets. It’s fun and interactive. But all those fingerprints mean having to clean the screen repeatedly. That’s why Kensington has developed the GummyGrip Stylus for Kids. It not only keeps the screen free of smudges, but in the shared-use environments like a classroom, it can also help reduce the spread of germs. The GummyGrip has a firm tip that’s highly durable, so it won’t wear out even after extended use. 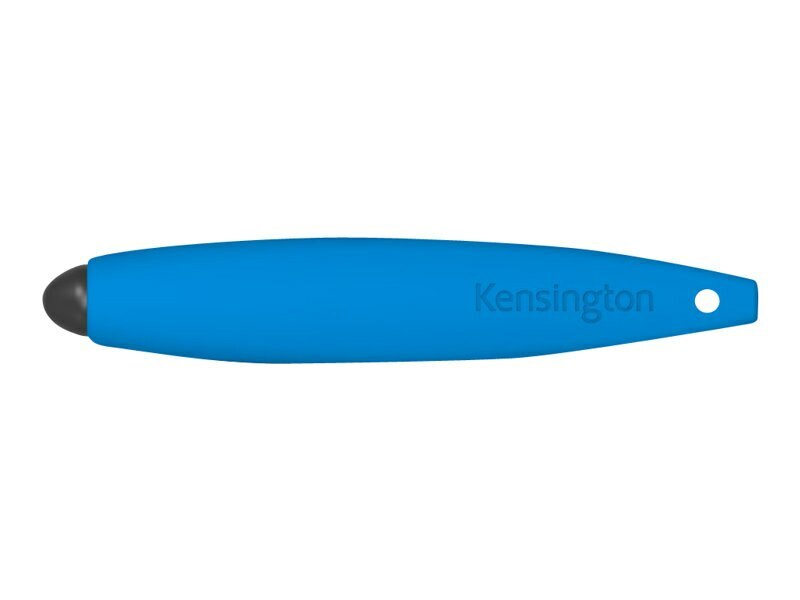 Because kids tend to put things in their mouths that they shouldn’t, Kensington designed the GummyGrip only with non-toxic materials in an ergonomic shape that’s ideal for small hands. A lanyard loop allows the stylus to be worn like a necklace, minimizing the chances for the stylus to be misplaced. It also fits perfectly into the stylus holder of the Kensington SafeGrip Rugged Case. Firm, durable tip for drawing, writing or selecting. Non-toxic materials safe for children. Lanyard loop so it won’t get misplaced. Ergonomic shape for kids’ hands. Fits perfectly into stylus holder on SafeGrip Rugged Case.